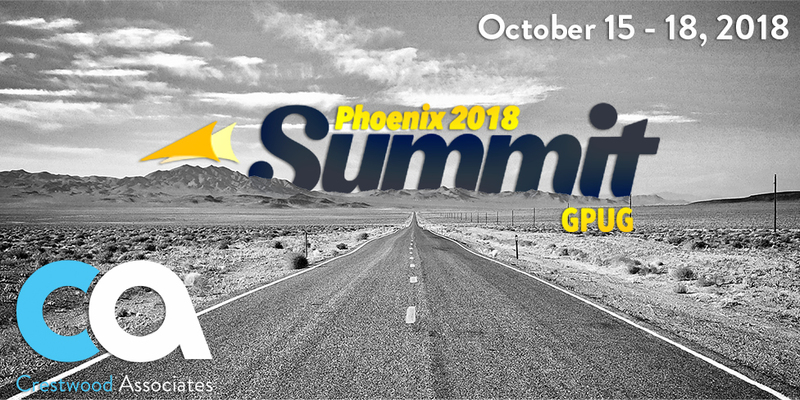 The annual GPUG Summit is right around the corner. We hope to see you there! Our very own Mary Lenehan will be presenting a session on SmartLists this year – that’s one you don’t want to miss. This annual event is hosted and coordinated by the Microsoft Dynamics GP User Group (GPUG). GPUG, is a group of over 30,000 Dynamics GP users who collaborate to solve problems, answer questions, learn and network online through their various chapters nationwide. Dynamics GP 2018 R2 is releasing a little early this year – October 1st, 2018. GPUG Summit offers a live, hands-on look on all the newest features and upgrades! Summit always puts on a great series of training sessions, for beginners to advanced users, and covering every version from Dynamics GP 10.0 to Dynamics GP 2018. 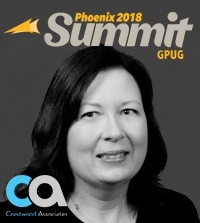 This year, there are three all-new session tracks: “New to GP,” “Manufacturing,” and “Developer.” In addition, Crestwood’s Mary Lenehan will be presenting a session this year on the hidden secrets of SmartLists! You can also meet with the GPUG Medics to discuss and walk you through any specific Dynamics GP issues. “For Users, by Users.” By now, you might know the slogan. But it’s true: GPUG Summit offers attendees unparalleled access to other users, with varying degrees of experience and expertise. There are plenty of events throughout Summit that allow for peer-to-peer discussion and problem-solving. Chatting and working through problems online is great, but there’s still nothing quite like face-to-face time! And speaking of which: be sure to let us know if you’re attending! Register by September 6th, 2018 to save $200 on the price of admission.